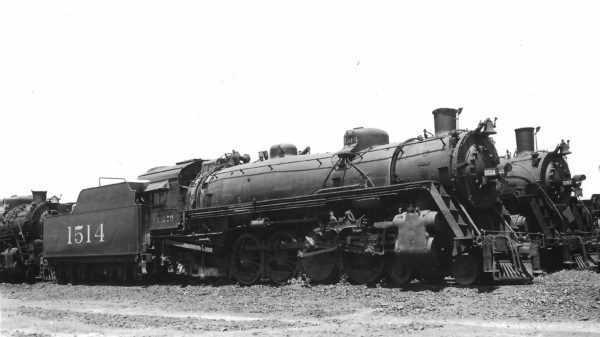 4-8-2 1514 in storage at Memphis, Tennessee on May 22, 1950 (Arthur B. Johnson). 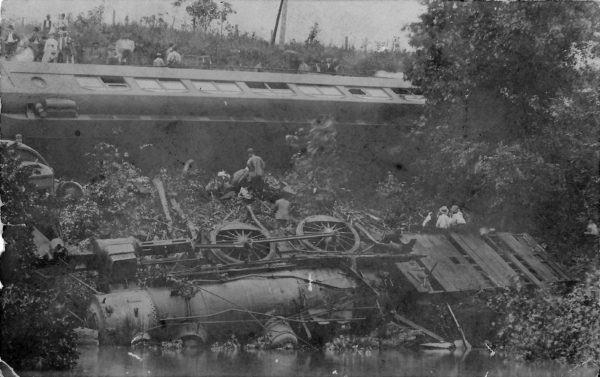 The wreck of 2-6-0 308 in 1908 between Webb City and Carthage, Missouri. This wreck killed (at least) the engineer and fireman. Special thanks to Fred Pavey for donating this image to the Frisco Archive. 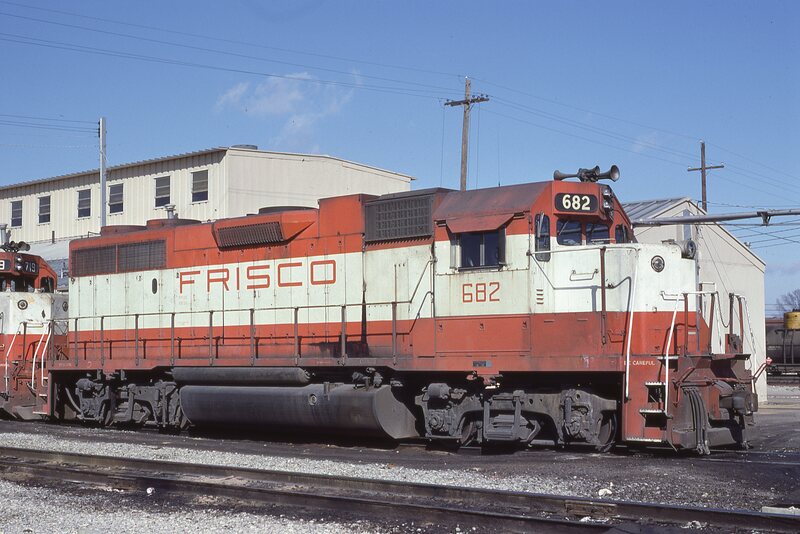 GP38-2 682 at Memphis, Tennessee in December 1980 (Lon Coone). 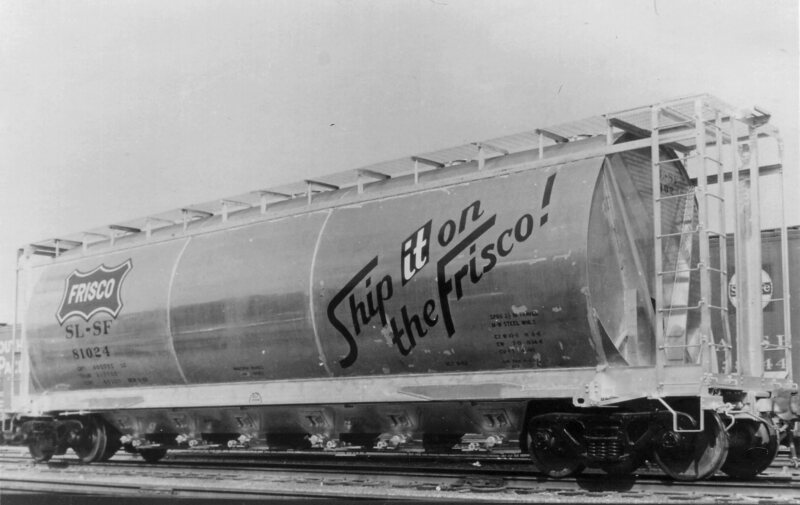 ACF Cylindrical Hopper 81024 new in August 1962 (Frisco Photo). 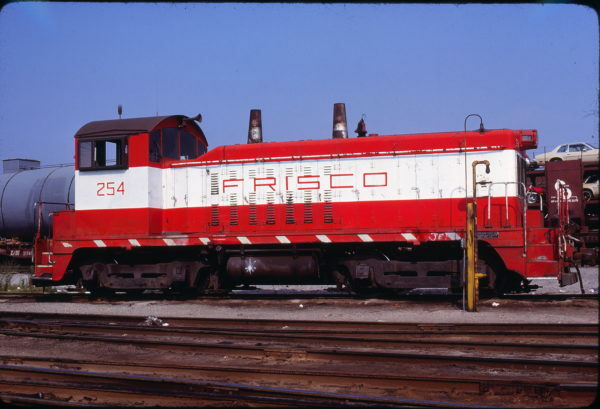 NW2 254 in the St. Louis area on July 9, 1979 (J. Harlen Wilson).